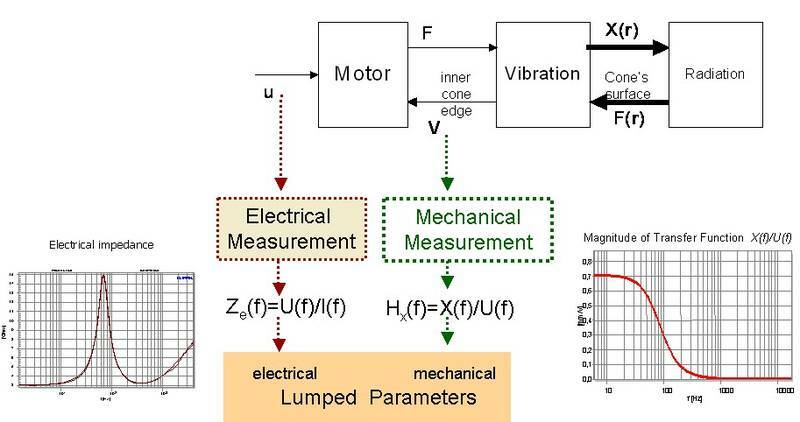 This module identifies the electrical and mechanical parameters of electro-dynamical transducers by measuring the voltage and current at the speaker terminals. 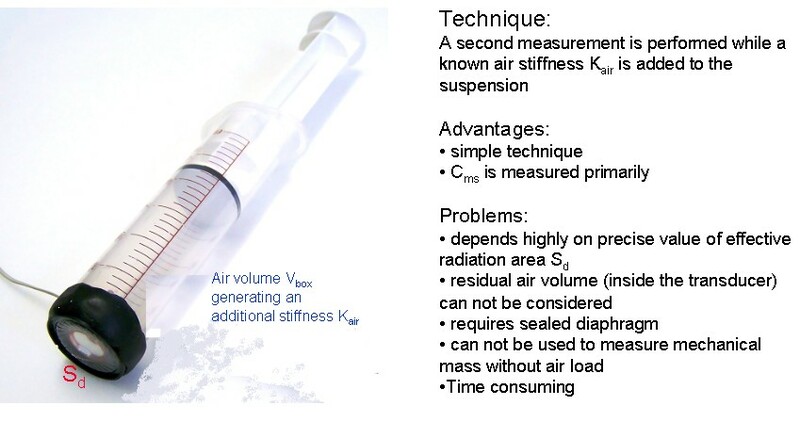 Using an optional laser displacement sensor, the identification dispenses with a second measurement and avoids problems due to leakage of the test enclosure and mass attachment. 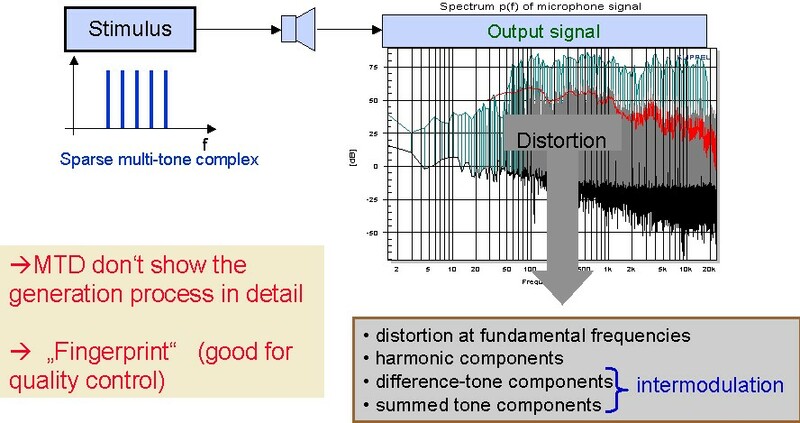 This kind of measurement also identifies the parameters of the suspension creep, giving more accuracy of the loudspeaker model at low frequencies. 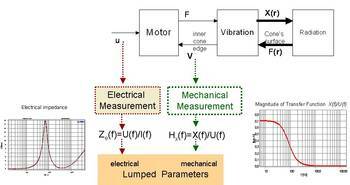 The measurement indicates insufficient signal to noise ratio and malfunction due to nonlinear effects of the driver or amplifier limiting. It is recommended to use coating spray for micro-speakers and tweeters with transparent and shiny diaphragms. More information.